I recently experienced one of the most, if not the most, incredible food experiences of my life. Last week, I visited the Piemonte region of Italy, which encompasses the tiny town of Bra: the birthplace of the Slow Food movement. Here, Slow Food living is not just a philosophy that one aspires to; it is the true way of life. Firsthand, I witnessed the practices, principles, traditions, culture, and mindset that cultivated the movement that so greatly captivated me 6 years ago—and, I realized after, still emphatically guides me today. So rather than share a recipe, I’d like to dedicate this post wholeheartedly to the Slow Food movement. In 2009, I co-founded the Emory University chapter of Slow Food. I simply loved everything the organization stood for: good, clean, and fair eating; with an emphasis on community and the social, familial aspect of preparing and enjoying meals together. After I graduated college, I kept the Slow Food mantra close to my heart: I shopped at farmers markets, made an effort to get to know individual producers, cooked dinner together with friends. But for some reason, the spark the movement had in Georgia didn’t glow as brightly in New York City. Everything moved too quickly, the farms were further away. I soon lost touch. 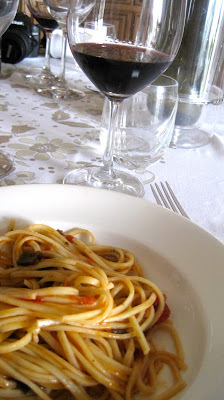 Fast forward to a few weeks ago, and I’m finalizing the itinerary for my trip to Italy. 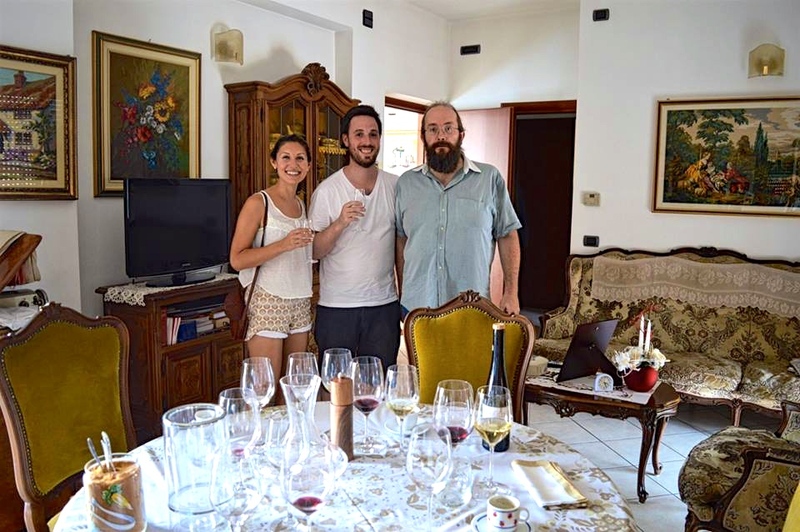 I’m thrilled to have discovered Piemonte—an Italian “gastronome’s delight” of vineyard-dotted rolling hills and forests filled with hazelnuts and truffles—and also super excited to visit Slow Food’s home. 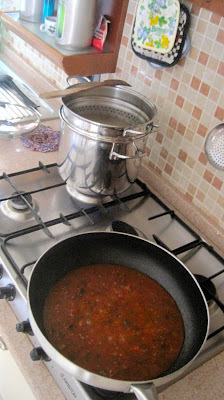 Our wonderful guide, Val, has arranged for her good friend, a pasta-maker, to prepare us lunch. “He’s super old school Italian, very fanatical about his methods and ingredients,” she writes. I know the experience will be special, but I don’t yet realize just how impactful it will be. We arrive at Mauro the pasta-maker’s house on a scathingly hot, humid day. It is 100 degrees, and Italy is experiencing a heat wave with temperatures unseen since 2002. Mauro—decked out in Birkenstocks with socks, and sporting bifocals—invites us upstairs. He has spent the morning cooling the dining room to make sure we will be comfortable at lunch. Val’s husband, Evan, translates for Mauro—he doesn’t speak a word of English. As Mauro begins to tell us about his pasta, his love for his craft grows palpable. “I only use ancient grains to make my pastas,” he explains, “and always a mix.” Ancient grains, also called heritage or super grains, are cereals and seeds whose rich nutritional content and “whole” form have allowed them to thrive, unaltered, for thousands of years. 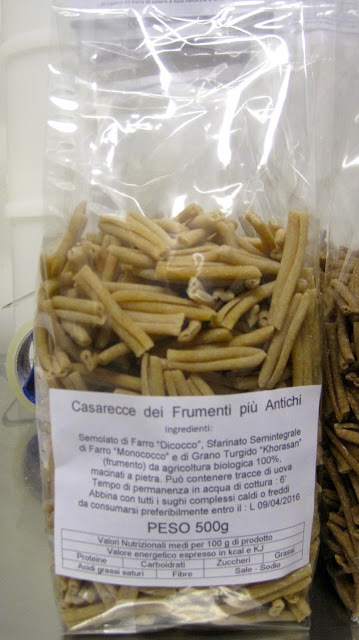 By avoiding hybridized (genetically modified) grains, Mauro is able to preserve the kernels’ naturally occurring protein structures, fiber, minerals, and antioxidants. It is common knowledge that genetically modified wheat, bred for rapid growth and easy milling, is the likely cause of the prolific wheat intolerance we see today. Even if a person has an intolerance, he adds, using a combination of different grains will diminish the effect a single type has on the consumer. A strong proponent of organic flour, Mauro points out that some of his producers follow organic practices but cannot afford the costly certification to carry an official “organic” label—a common issue small, local farmers face in the US, too. The main style of pasta Mauro produces is called tajarin. 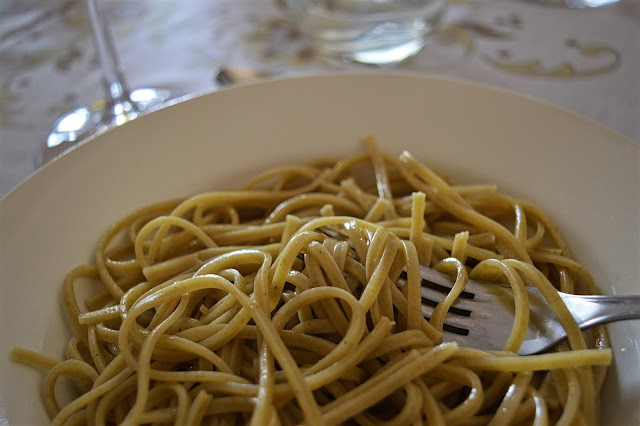 It has a long, narrow, flat shape and is the moniker behind his entire business, “Casa dei Tajarin.” Mauro also produces a variety of eggless pasta called casarecce, made specially for people with egg intolerance. For the first pasta course Mauro prepares for us, he uses a tajarin infused with 9 different kinds of herbs, which he calls Stravaganza “Nel Prato Estivo”, or “extravagance in a summer meadow.” He originally began adding herbs to flour to serve as a digestif, or to help aid digestion. The herbed tajarin—boiled at a precise temperature with ample salt and prepared al dente— is tossed simply with olive oil and salt. The herbs’ subtle botanical notes, harmonized with the grassy olive oil, is simply divine. Upon tasting, I declare it is the best pasta I’d ever had. For the second pasta course, Mauro uses his eggless casarecce, mixed with a homemade pesto incorporating basil from his garden and local hazelnuts from the Langhe. The casarecce is rustic and hearty; a mixture of spelt, rye, and kamut. I love the whole grain overtone, and pairing with the sweet basil and nutty hazelnut is nothing short of perfection. Wait, this may be best pasta I’ve ever had! Mauro hand selects a wine to pair with each course. 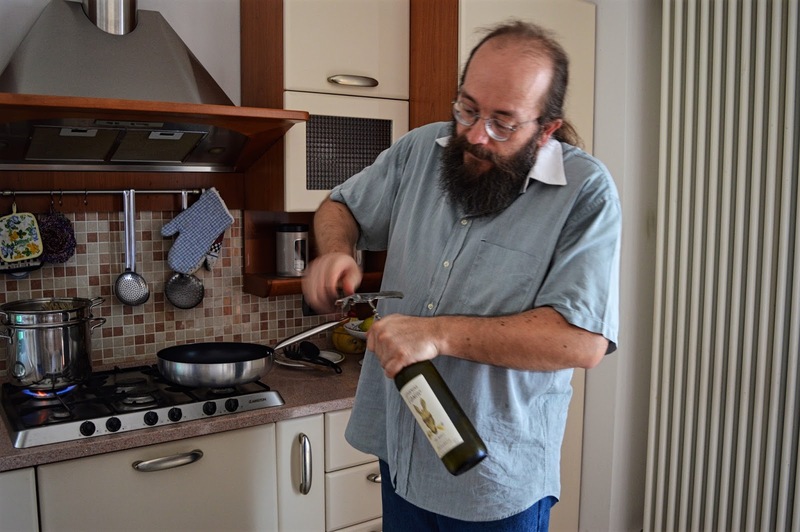 For the first two, he chooses Carica L’Asino, a white wine made from an ancient (I’m seeing a theme here!) grape from the Liguria/Piemonte border. Carica L’Asino , or “load up the donkey”, refers to the legendary requirement of a donkey to transport the grapes from the steep, rocky terrain on which they grew. Only 3 producers bottle this indigenous grape variety in the world. We are expecting the next course to be dessert, but Mauro asks us if he can prepare one more course (um, duh!) first. 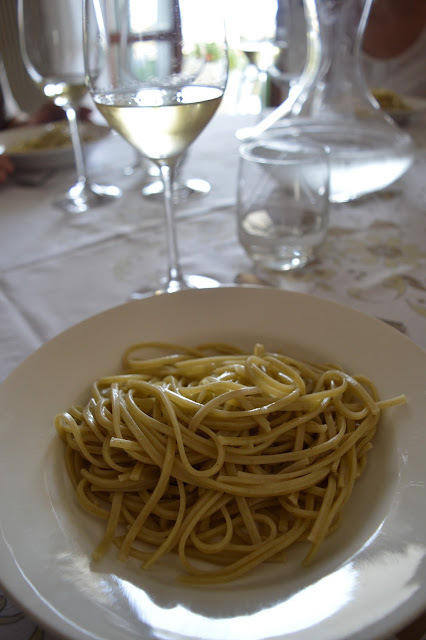 This pasta is tajarin tradizionali di Lange, the traditional tajarin of the Langhe region. He tosses it in an eggplant and tomato sauce—his mother’s homemade—that reminds me of a caponata. It is otherworldly. For this course, we switch to a red wine. There is now a 3-way tie earning the title for best pasta I’ve ever had. Mauro’s cookbooks. I wanted to steal all of them! Somehow we find room for dessert. 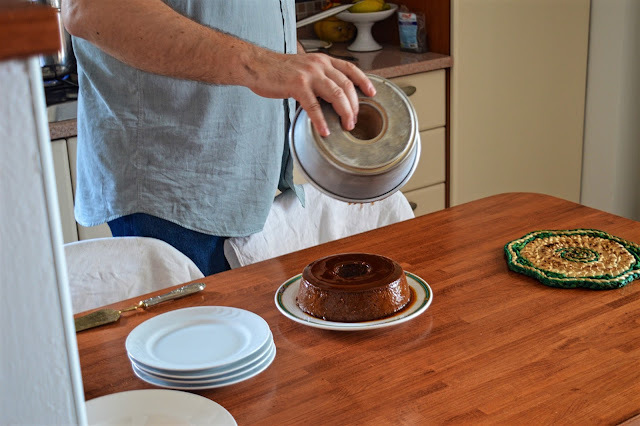 Mauro woke up at 6:30am this morning to prepare a bônet, a traditional Piemontese cake made with cocoa powder, eggs, milk, sugar, coffee, rum, and amaretti cookies. It is light as a feather and obscenely moist. 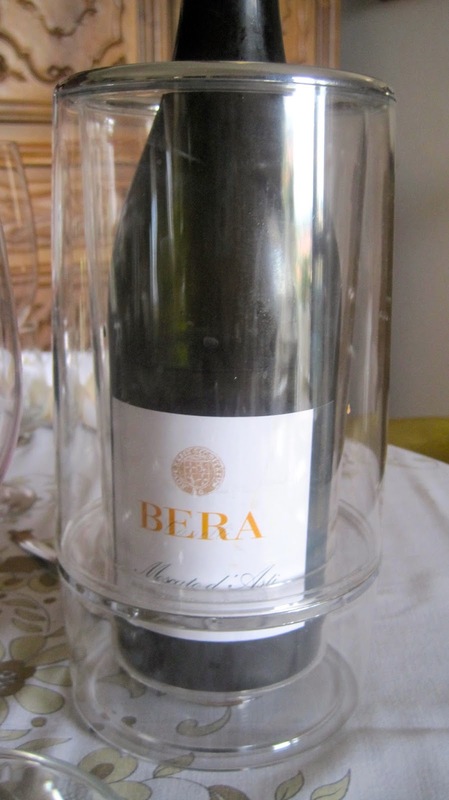 With dessert, we drink Bera Moscato d’Asti, a sweet dessert wine produced by a brother and sister team who run a small winery close by. The moscato grape was first planted on the Bera estate in the 13th century, and the vineyard has been maintained by the family since 1785. All the wines we drink are from producers who practice organic and biodynamic viticulture. Before we go, Mauro insists on a shot of grappa for the table to close out meal. My head is floating above my body, but it’s not from the wine or the heat. Rather, I am intoxicated by the experience of the past few hours. I’ve been consumed by Mauro’s passion; enthralled with his steadfast commitment to preserve centuries of tradition yet also remain forward-thinking about health and the environment. It is so crazy to me to think how today’s lunch, the genesis of Slow Food eating, ignited the same fervor in me as when I joined this movement over half a decade ago, thousands of miles away, swayed by Georgia jams and collard greens. It is at this moment when I realize that my dedication to Slow Food had never left me at all. It’s been here the whole time. I’d like to thank everyone who made this experience possible: Mauro Musso for cooking a fantastic meal, Val of Girl's Gotta Drink for organizing the best Piemonte daytrip ever, and Evan for translating Mauro’s words for us. But, I’ve saved the best for last: you can buy Mauro’s pasta in New York City! Formaggio Kitchen carries Casa dei Tajarin at its lower east side location. Ciao! Ciao, Rachel! What a fantastic write-up! I love all the detials you got on the pasta ingredients. I couldn't keep up! Thank you for letting us have the opportunity to show you around the area. We hope to do it again.